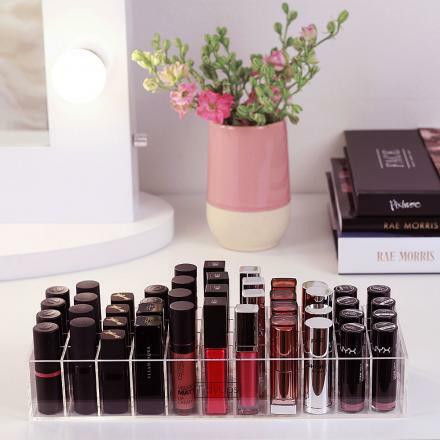 The acrylic box “OneForLipsticks” fits into the IKEA ALEX or IKEA MALM and allows you to see all your favorite lipsticks at a glance. 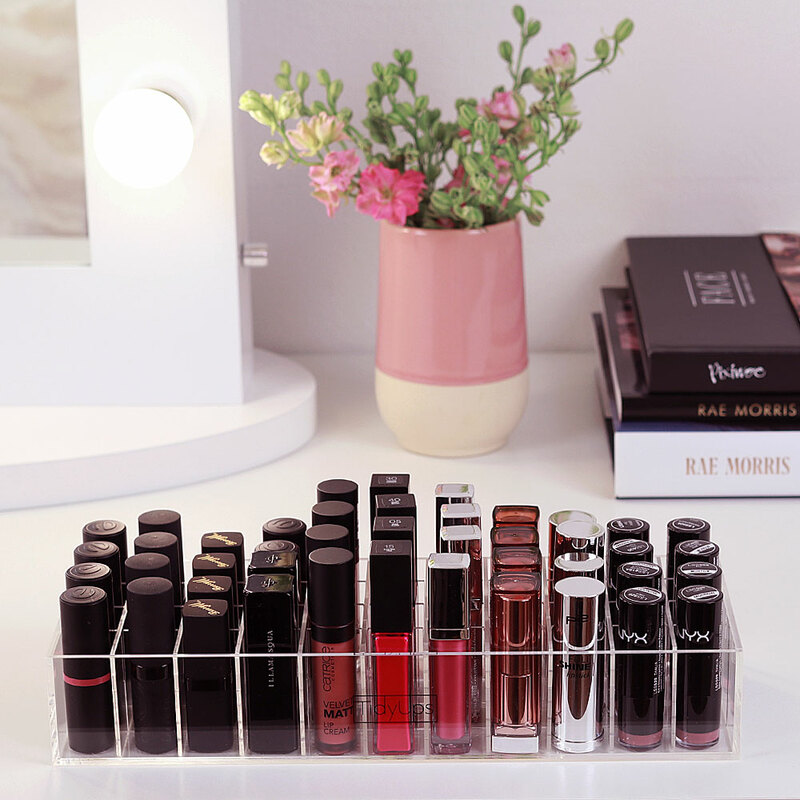 By removing some dividers this organizer can also be used for small glosses, lip balms, small compacts and palettes. 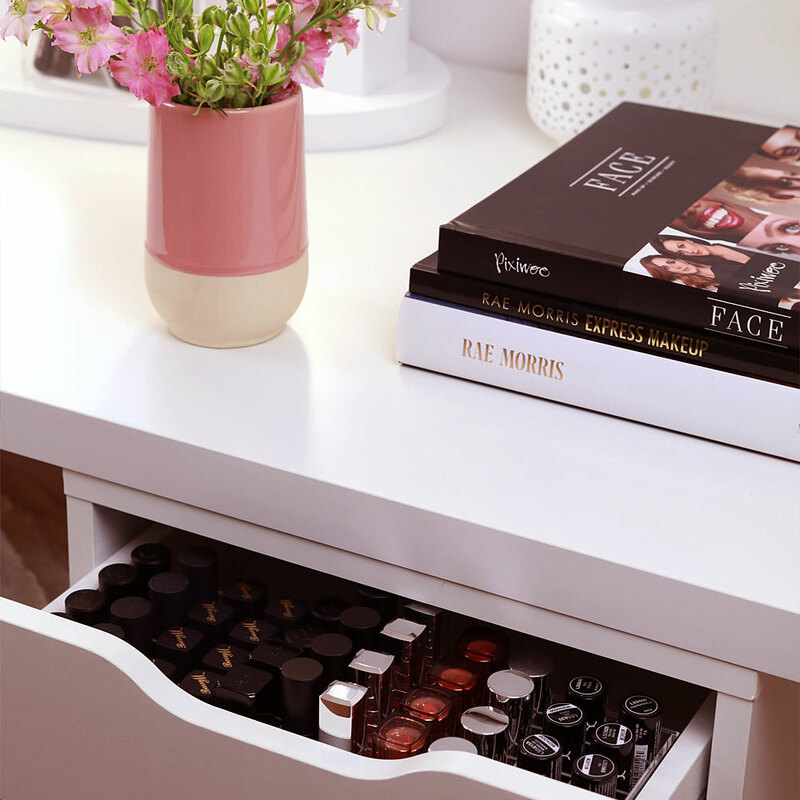 The makeup organizer OneForLipsticks by TidyUps is a customizable makeup organizer for your makeup and cosmetics collection. 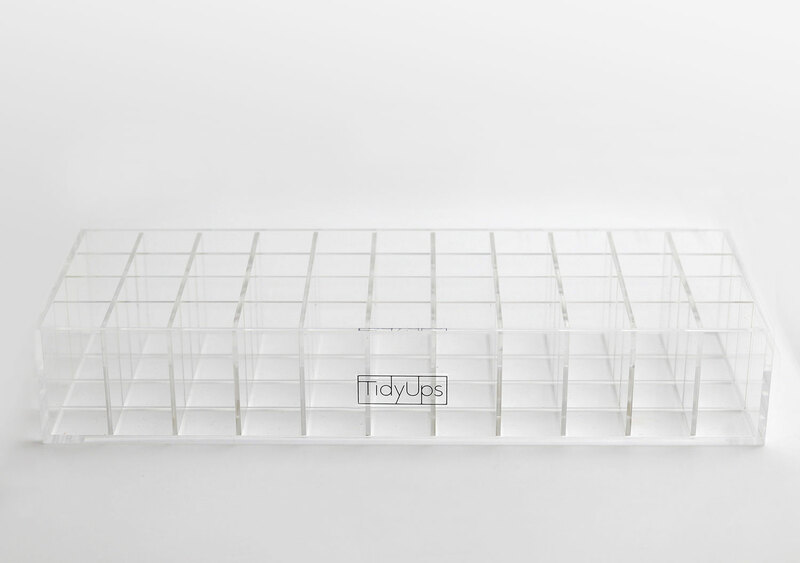 It´s made from solid 3mm clear acrylic and the perfect solution to keep your makeup and cosmetic products clearly arranged and organized. 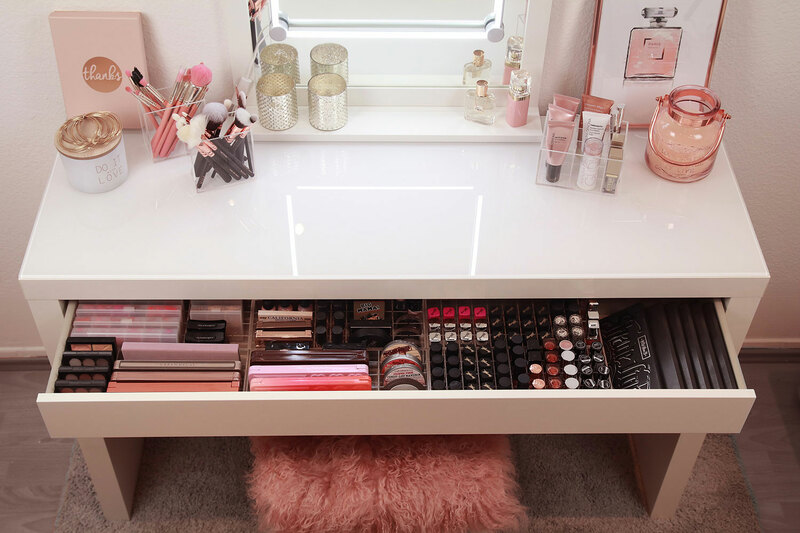 By removing one or more separation bars, you can also enlarge the compartments to your needs - depending on which cosmetics you want to store. 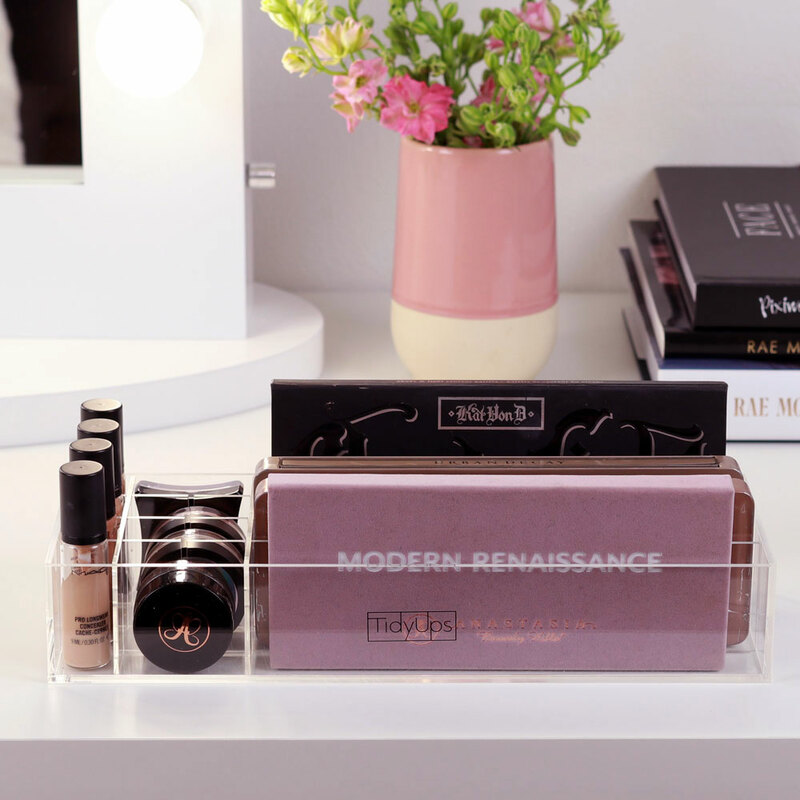 In addition, the makeup organizer OneForLipsticks makes a great eye catcher on your dressing table. 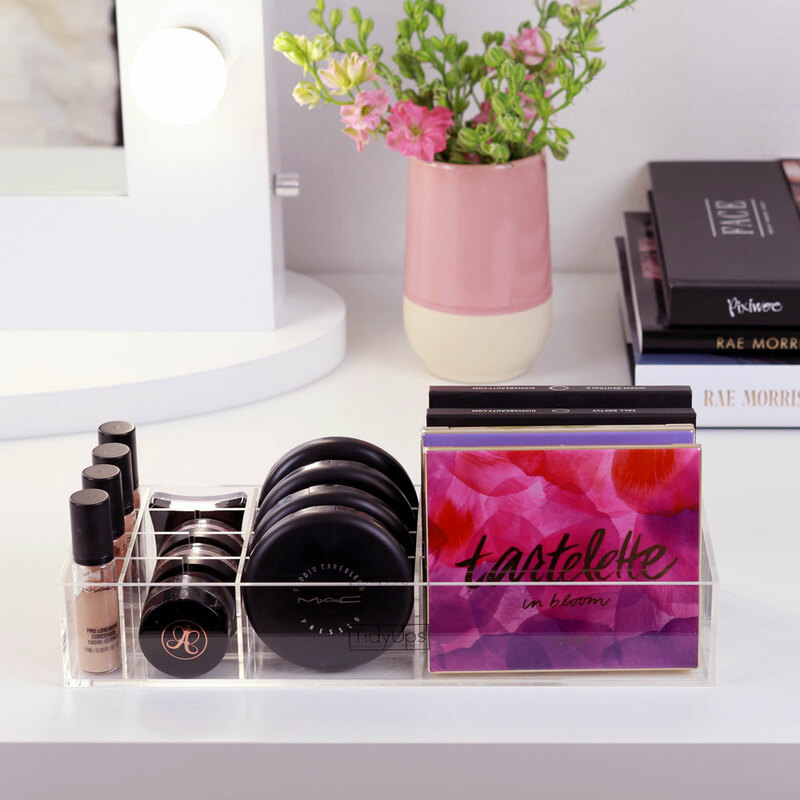 The makeup organizer OneForLipsticks is suitable for organizing and storing lipsticks, lip glosses, powders, bronzers, highlighters, blushes, contour powders, palettes, paint pots, gel eyeliners, cream eyeshadows and much more. 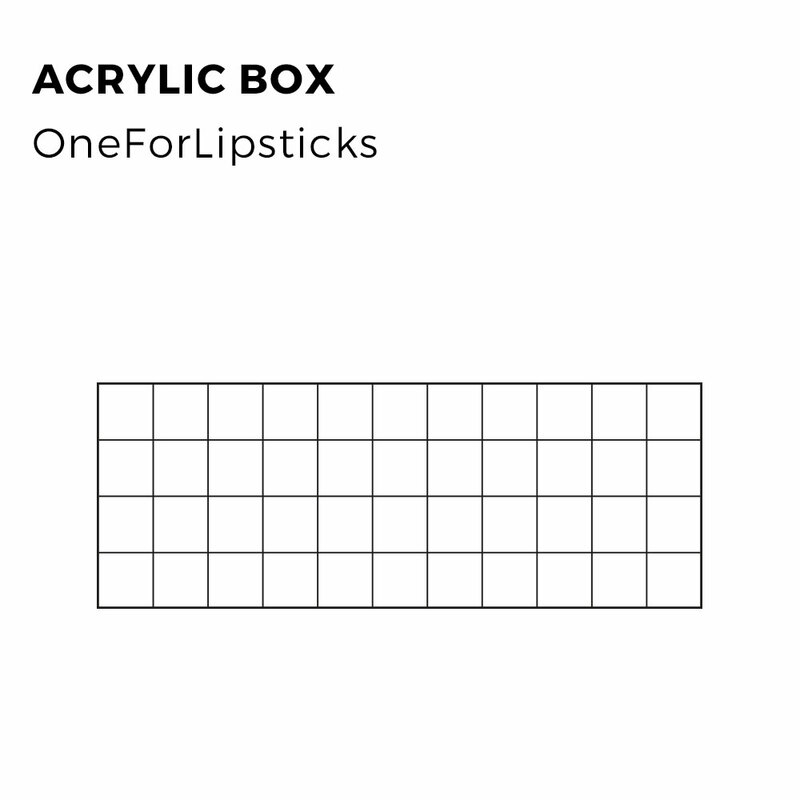 1x makeup organizer OneForLipsticks. Ready to use.